The last couple of years, I’ve posted yearly “retrospectives” about this blog. Last year, I actually mentioned that I’d started doing this because it seemed like something other bloggers did and then I kept doing it because I like continuity. This year, I’d like to take the opportunity to stop. I suppose some reading might be mildly interested in which posts of mine in the last year were most popular, how my demographic splits looked, or how many visitors I had per month. That is, if I told you in this post, you might read through to the end. Or, you might not. (It’s okay if you wouldn’t — I wouldn’t bother either, if I were in your position). Thing is, none of that matters very much, so I’m going to dispense with the artifice for its own sake. I’ve never been much for traditions anyway; pretty much everything done at weddings bemuses me. 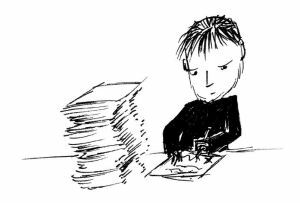 The important thing is that I write these musings of mine and you read them and appear to appreciate them and I, in turn, appreciate that. I appreciate you spending a few minutes a few days a week reading what I have to say. Seriously. There is a truly infinite number of ways in which you could spend your time and you’ve opted to spend it reading what I have to say. I am grateful for that. Thank you. At this point, read on only if you’d like to hear me ruminate a bit about this past, weird year of our Lord, 2014. (In case you’re wondering, I haven’t taken this blog toward religiousity — “AD” means “Anno Domini” or “In the Year of Our Lord” so every time you date a check this year, regardless of your religion, you’re dating it “In the Year of Our Lord 2015.” I believe this is why people have pushed a bit for the designation 2015, CE or Common Era.) The rumination will be relatively brief and light — I promise. Last year, I talked about growing up as a blogger. This year, I’ve grown up as a human. At the beginning of 2014, I was running an IT department. In the last 12 months, I bid a reluctant farewell to that job to strike out on my own as a free agent. It was a difficult decision but I had, in essence, become convinced that I would not find what I was looking for in the corporate world and I essentially opted out… at least as a salaried, W2 employee. I accepted the fact that life as a Company Man would inevitably disappoint and decided to try a different tack. It’s been fun and interesting. I’ve grown my freelance application development practice a bit, but I’ve really branched into true consulting. What I mean by this is that instead of trading hours of software development for dollars, I’ve begun to favor offering my services as a velocity multiplier — working with organizations and teams to help them understand how to be more efficient at developing software. Perhaps more important (and salient to this blog) than any of that, however, is my development as a content creator. A year ago, I had two Pluralsight courses and a couple of fresh E-Books. Today, I have 4 Pluralsight courses, 3 E-Books and 2 actual, printed books. While I’ve grown professionally in terms of leadership and consulting, I think I’ve grown even more in the arena of content creation. As someone fortunate enough to have enjoyed a nice career as a software developer, the emphasis on content creation may sound strange. It’ll probably sound even stranger when, coming from a heavy STEM field, I explain that it was virtually assumed when I was a child that I’d wind up being a professional novelist or, at least, a writer of some sort. And so, the opportunity to fuse the fields of software work and writing is particularly appealing to me. I don’t know exactly what’s coming in 2015, but I can tell you a few things. First of all, I’ll definitely keep writing to the DaedTech blog. Secondly, I’m going to keep working with Pluralsight. Beyond that, I’m planning to start doing some professional copywriting in the software industry and also to write a book from scratch. 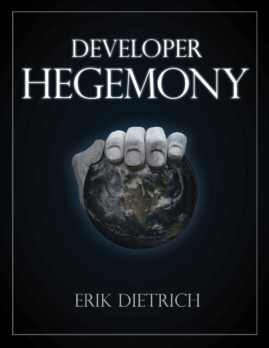 (If you’re interested, the loose working title/premise with which I’m operating is “Developer Hegemony: The Future of Work”). And, of course, I’m going to keep coding, keep working with developers, keep running teams, keep looking at your code bases and offering thoughts, keep loving technology and keep solving problems. So, thanks again for reading, please feel free to check back and hit me up whenever, and have a great 2015! Cheers and best of luck for the new year! Thanks, my friend, and same to you! I enjoy hearing your thoughts and insights. It wasn’t until last September when I started to cast my own thoughts to the interwebs via my blog, and I’m enjoying the process immensely. It’s helped me consider my intended audience and makes me more cognizant about being focused in my delivery. Who knows where it will go! I look forward to seeing what you have to share with us in 2015! Best of luck with it. What’s the link to your blog? geoffmazeroff.com. It’s a blend of tech posts and group fitness (my paid hobby). Added to my feed reader! Subscribe, and I'll send you a PDF with about 10 posts' worth of content from my book!